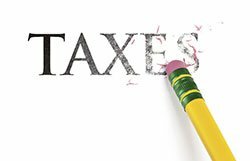 Common Tax Deductions for Small Businesses | Gerald Winters P.C. Capital expenses: Also called startup costs, the IRS allows a business to deduct up to $5,000 from its income in its first year of expenses for expenditures made before the doors of the business opened. Any capital expenses remaining after the first $5,000may be deducted in equal increments over the next 15 years. Business entertaining: The cost of meals or entertainment purchased for business purposes must be documented by receipts in order to maintain the right to deduct the cost from income for tax purposes. Only 50 percent of the total cost of entertainment expenses may be deducted.